Stay warm during cooler weather with this classic toboggan that has a 3-inch folding cuff for easy embroidery. The Port & Company Knit Cap is a staple for everyday Winter-wear due to its great price and wearability. It comes in a great selection of colors and is a fantastic value. "Awesome Beanies! My Customers love them. " "Amazing Quality Beanie. Thick, soft and the Logo was top notch! I will be buying 100's more." "Great material and well made logo!" "This hat was much better fitting than the beanie type one I first purchased. It is warm and covers the ears nicely. Embroidery was first rate!" "Soft, very comfortable fit and the embroidery logo looks incredible on the black beanies. It was even better than I expected (and having several products made by Queensboro they already set the expectation bar high)." "They look great with my company logo. 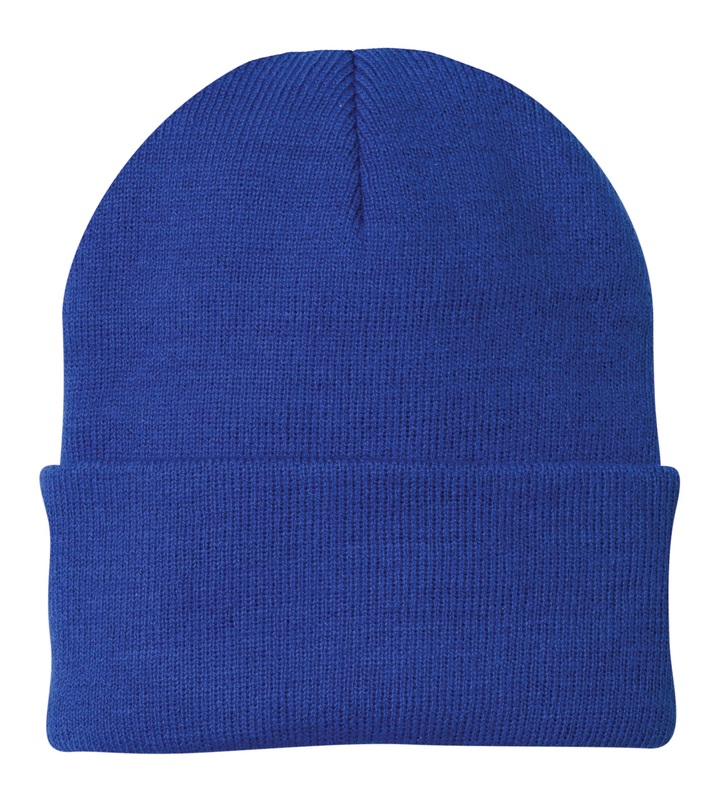 quality material good pricing "
"Amazing quality and the embroidery was perfect"
"This is a thick beanie which provides lots of warmth. Love it!" "Everyone is pleased with the product and fold up beanie. It's absolutely perfect!!" "Fits perfectly and the logo looks great"
"Fits great, nice embroidery, perfect hat for kids and adults!" "These hats and embroidery are very nice and comfortable. I bought a dozen but may need more as everyone likes them so much. "